We are Growing! Come Join Our Team! GUEST ATTENDANT, Part Time/Full Time. Two positions are available. Must be able to work some weekends, nights and some holidays. Some college in relevant field or previous experience working in a similar environment is required. References will be required. 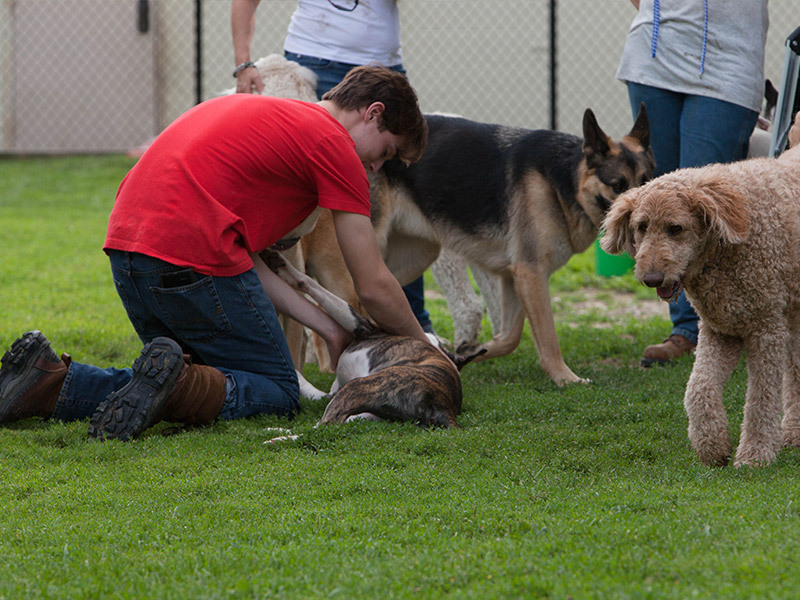 Duties include, but not limited to, animal care and cleaning (dogs, cats, small animals, birds and reptiles) walking dogs, monitoring doggie daycare, feeding and administering medication, bathing, and taking appointments. Must be detail orientated, self-motivated, have basic computer/phone skills, lifting is required (30+lbs) and of course you MUST love animals. Pay is hourly and based on experience.